Serena Williams powers a return during the Western & Southern Open, on Monday, in Mason, Ohio. 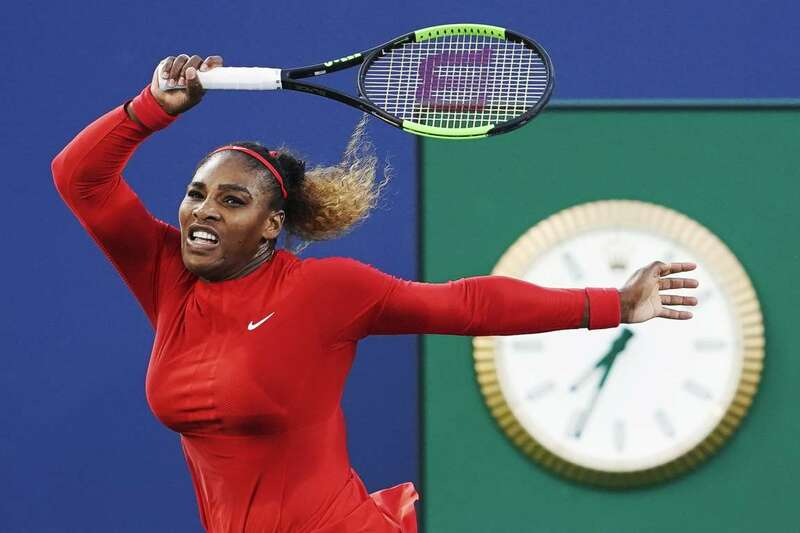 Serena won 6-1,6-2. 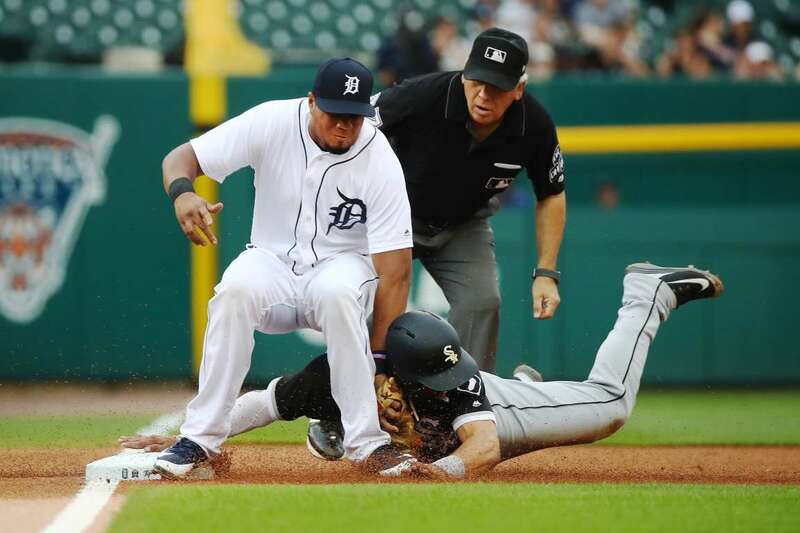 Yolmer Sanchez of the White Sox is tagged out trying to steal third base in the first inning by Jeimer Candelario of the Tigers on Monday, in Detroit, Michigan. The Tigers won 9-5. 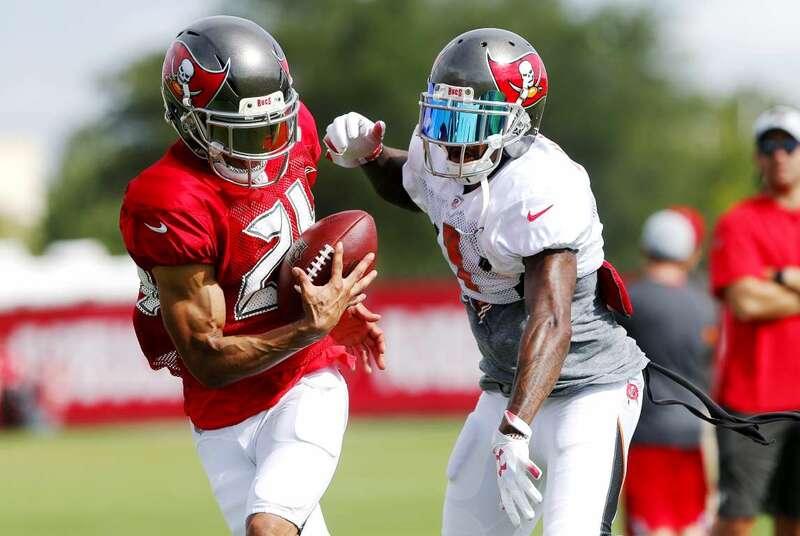 Brent Grimes (24) makes an interception in the back of the end zone as wide receiver DeSean Jackson attempts to defend on the play during the Buccaneers Training Camp on Monday, in Tampa, Florida. 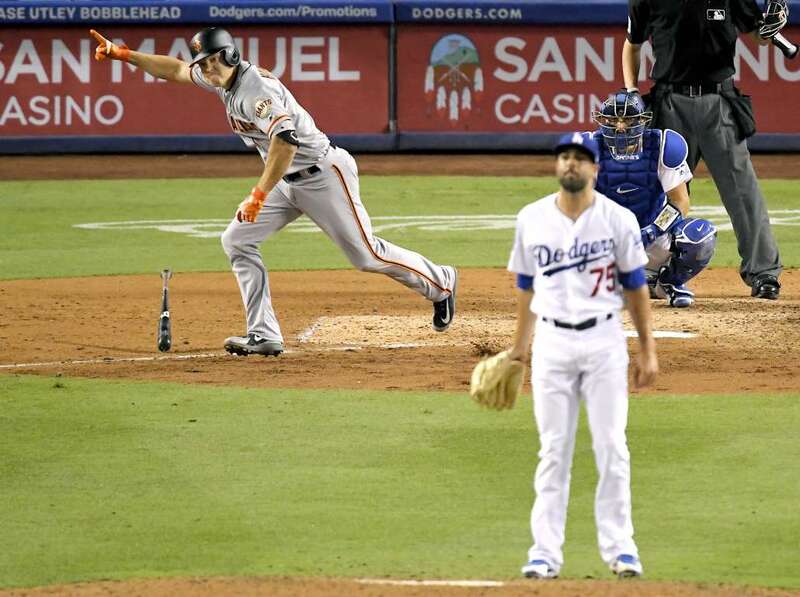 The Giants' Nick Hundley celebrates during a game against the Dodgers on Monday, in Los Angeles. The Giants won 5-2. 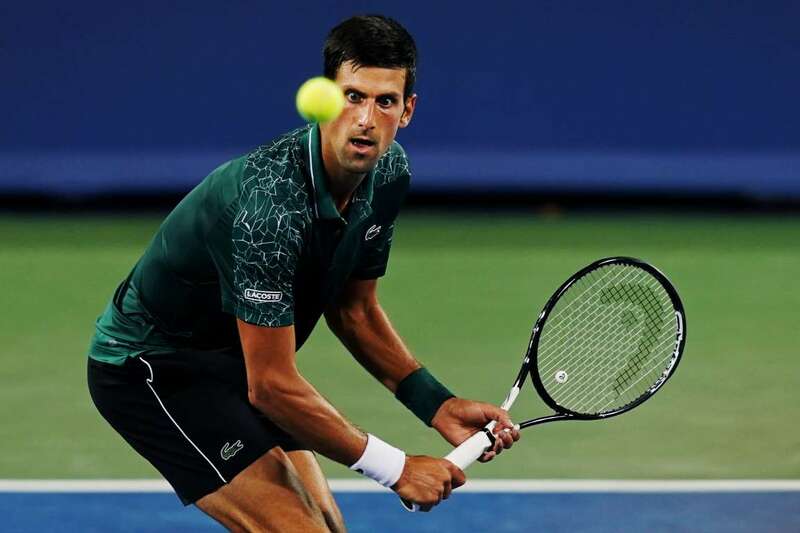 Novak Djokovic in action against Steve Johnson during the Western and Southern open on Monday, in Mason, Ohio. Djokovic won 6-4, 7-6 (7-4). 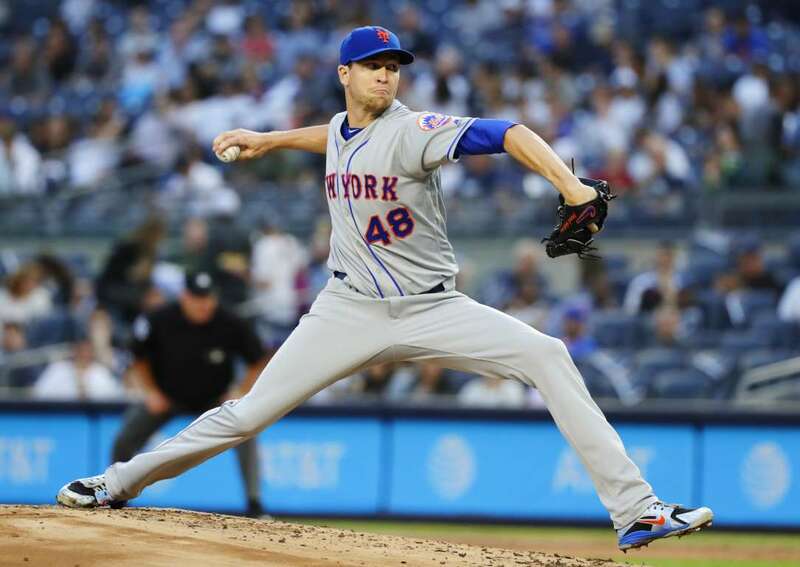 The Mets' Jacob deGrom delivers a pitch against the Yankees, on Monday in New York. The Mets won 8-5. 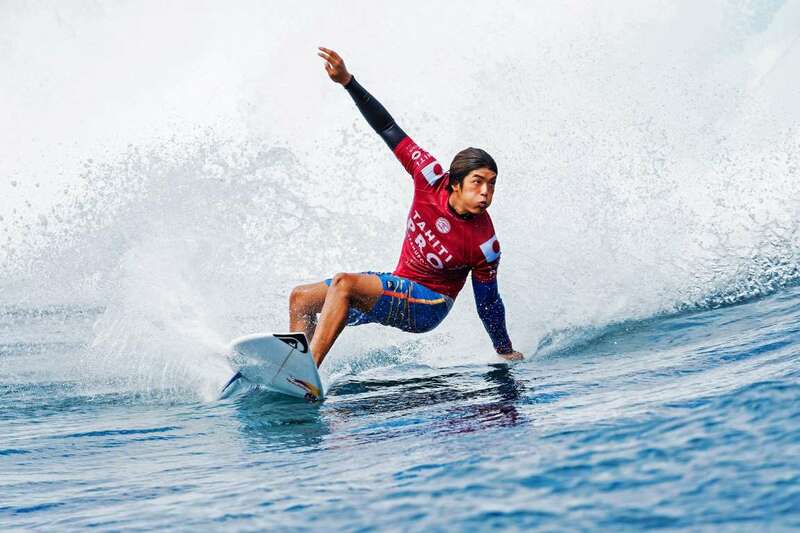 Kanoa Igarashi of Japan in action during the Tahiti Pro Teahupo'o, on Monday, in French Polynesia. 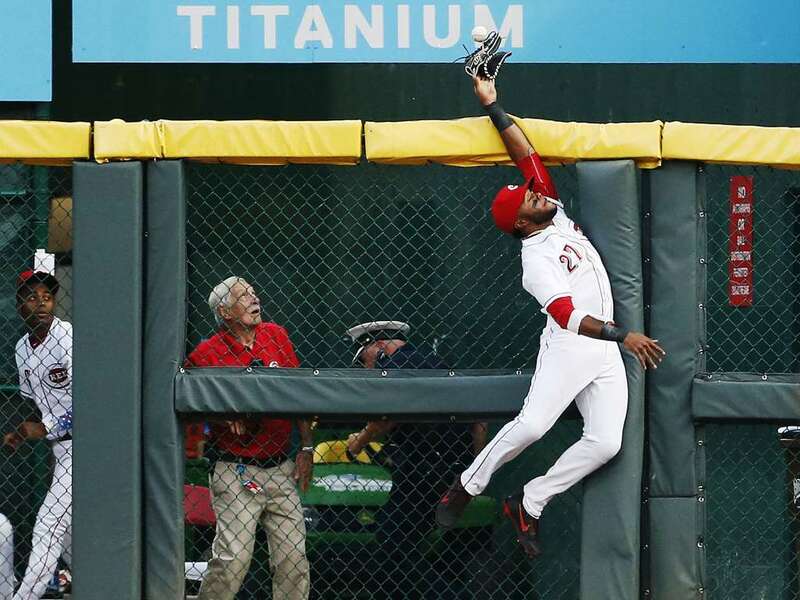 A two-run home run off the bat of the Indians' Jose Ramirez (not pictured) glances off the glove of the Reds right fielder Phillip Ervin on Monday, in Cincinnati, OH. Cleveland won 10-3. 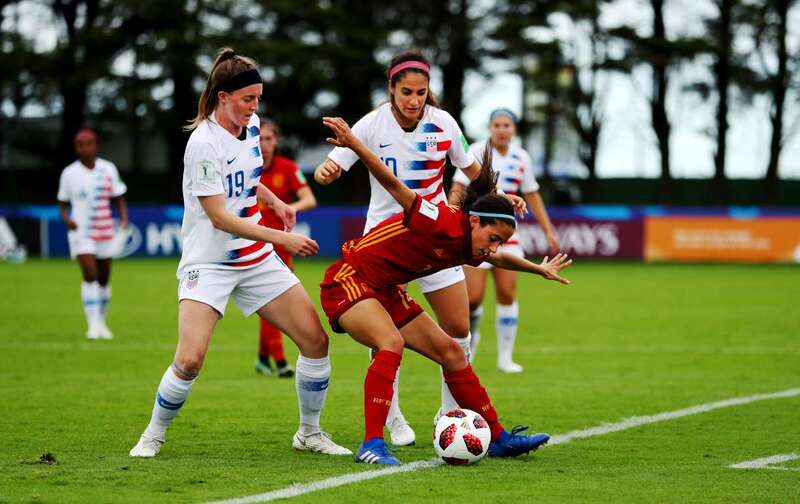 Aitana Bonmati of Spain holds of Erin Gilroy and Savannah Demelo of the United States during the FIFA U-20 World Cup match on Monday, in Dinan, France. The match ended in a 2-2 draw. 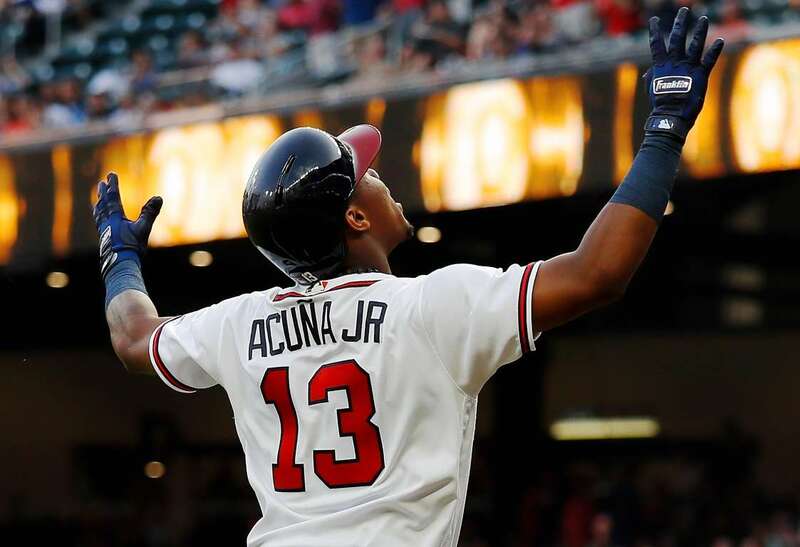 Ronald Acuna Jr. of the Braves reacts after hitting a solo homer against the Marlins on Monday, in Atlanta, Georgia. The Braves won 6-1. 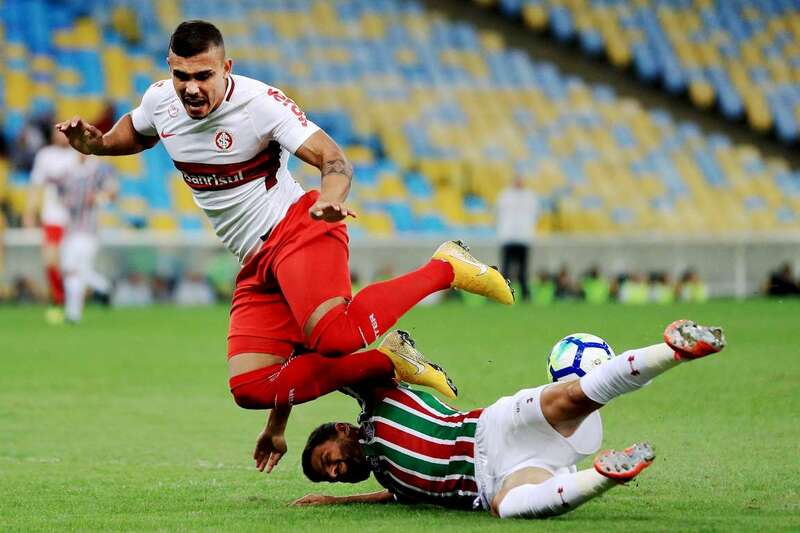 Jadson, below, of Fluminense struggles for the ball with William Pottker of Internacional during their Brasileirao Series A match on Monday, in Rio de Janeiro, Brazil. 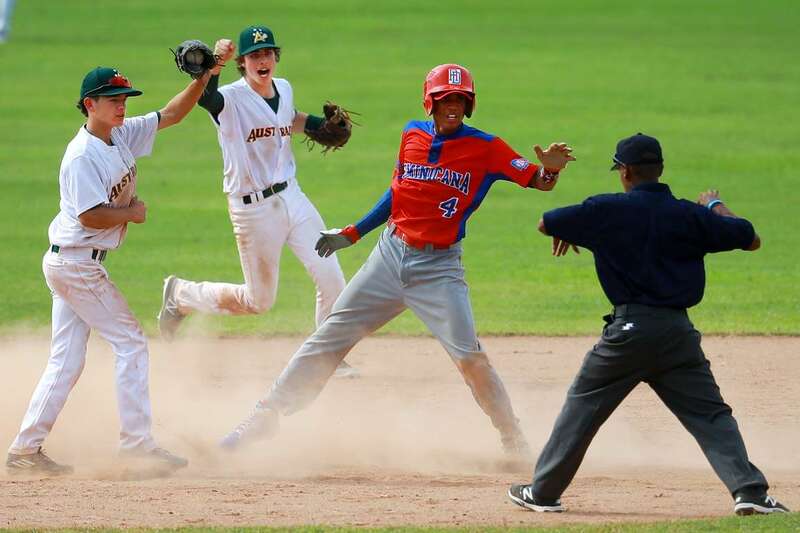 Nikau Pouaka Greco, left, of Australia tagged out Manuel Vargas (4) of Dominican Republic in the 4th inning during the WBSC U-15 World Cup game on Monday, in Chitre, Panama. 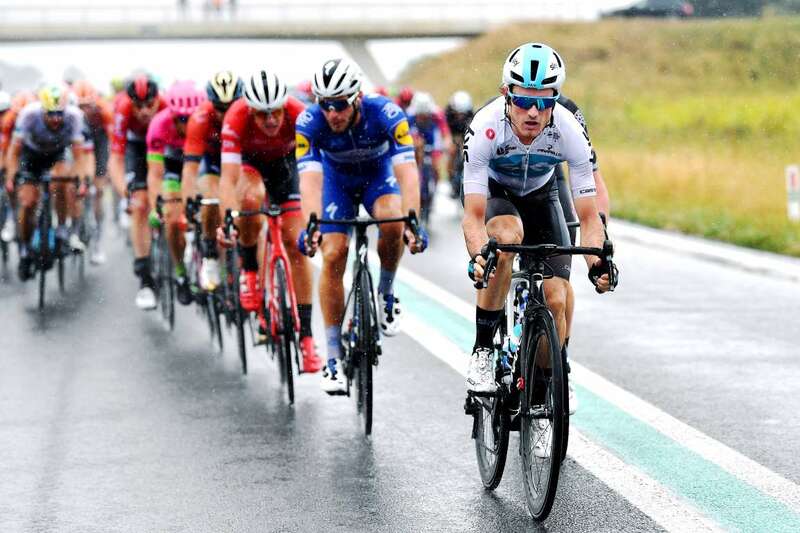 Leonardo Basso of Italy and Team Sky leads during the BinckBank Tour on Monday, in Bolsward, Netherlands. 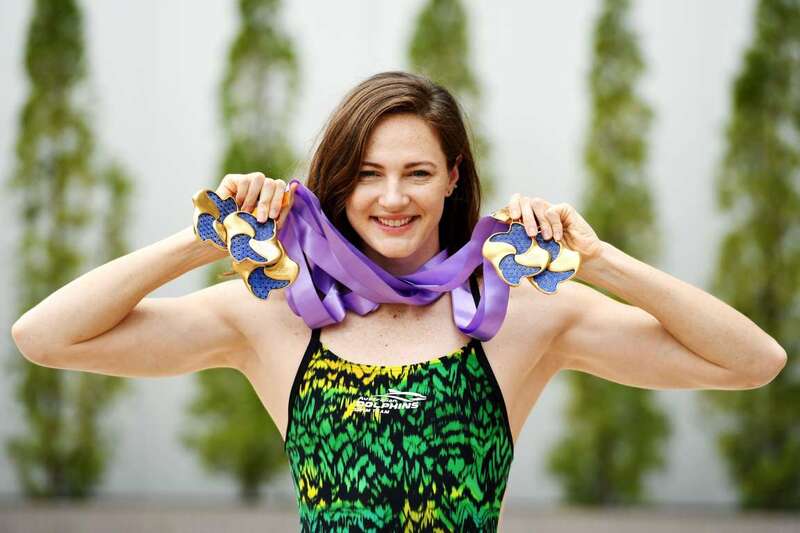 Australia's Cate Campbell poses with the five gold medals she won at the Pan Pacific Swimming Championships on Monday, in Tokyo, Japan. Top photos from the last 24 hours from around the world.